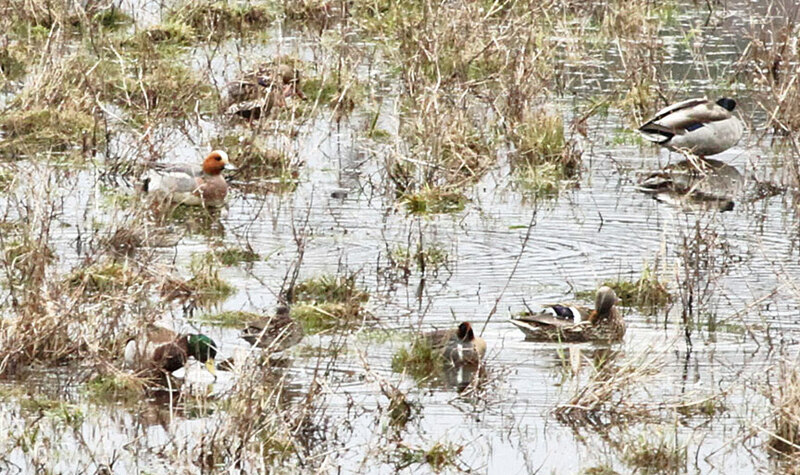 This is what the flooded farm field looked like when we surveyed the waterfowl. If you look left of center, you'll see a small bit of orange. 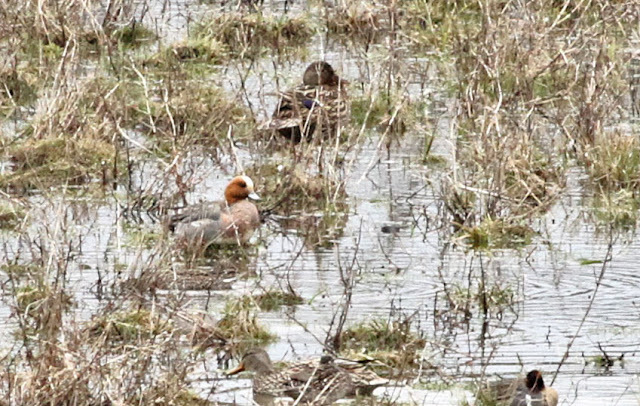 That's the head of a Eurasian Wigeon! 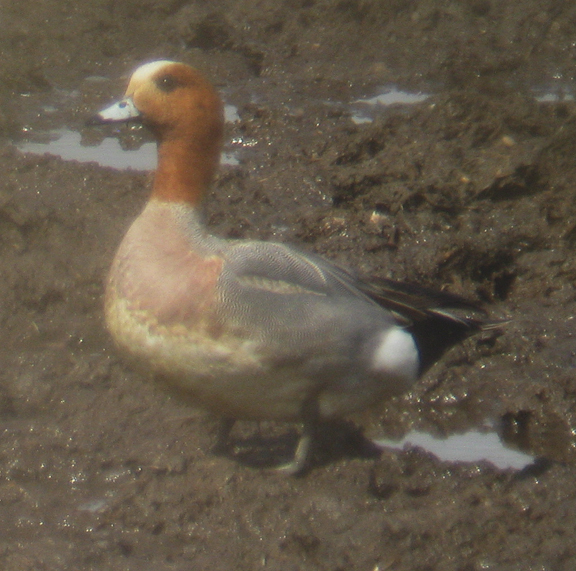 The Eurasian wigeon is an infrequent visitor to both coasts of North America. 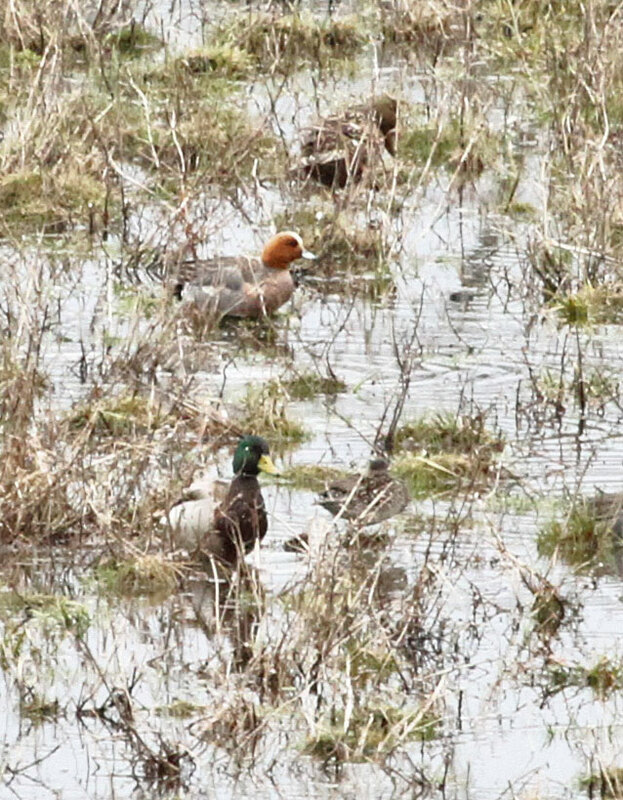 Those that visit are probably from Iceland and eastern Siberia. 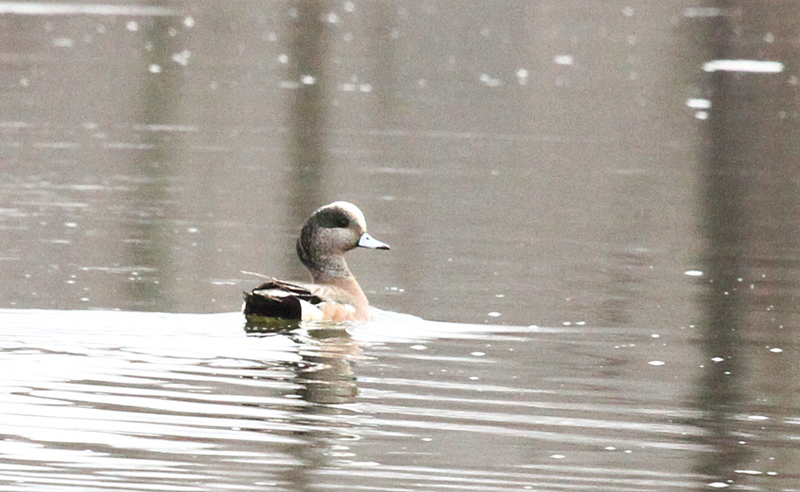 It's not very common to see one along the CT River, but we found one in Charlestown, NH yesterday. 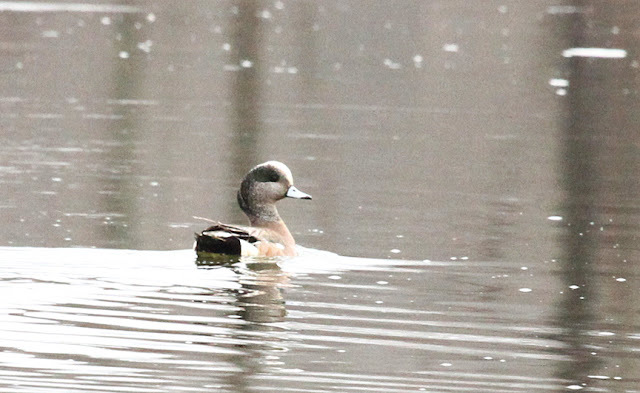 He is very similar to our American wigeon in size and shape. Both have a short bluish-gray bill with a dark tip and a white forehead and crown but the European visitor has an orange head. 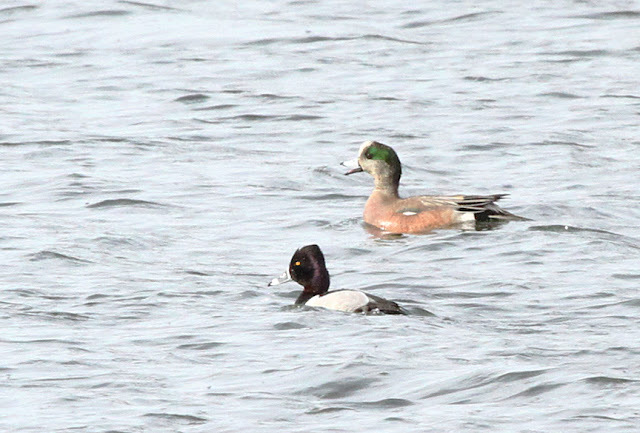 Wigeon were once called "baldpate" because the white stripe on their crown looks like a bald man's head. 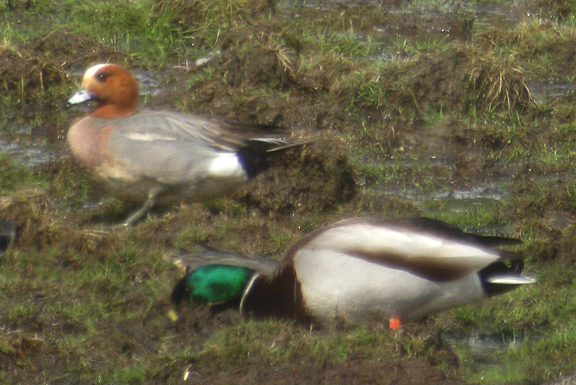 He was following around a female wigeon. 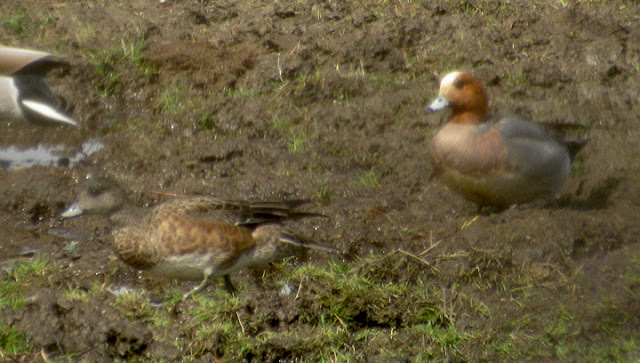 Unfortunately female Eurasian and American wigeons are hard to tell apart. 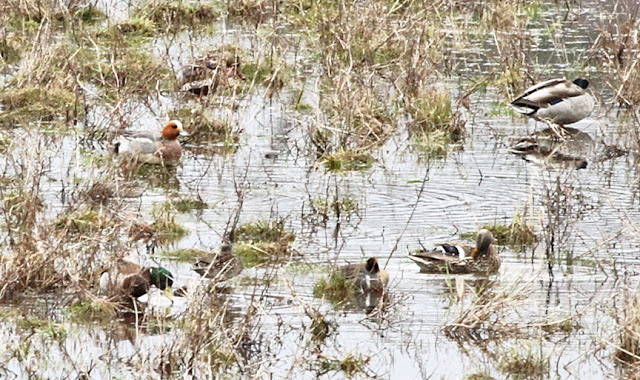 Herrick's Cove - the Ice has Melted!